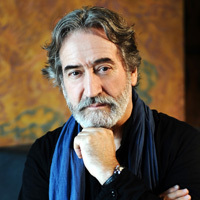 Jordi Savall returns with The Routes of Slavery (1444-1888), which unites more than two dozen musicians from 15 countries on three continents in a reverent celebration of the influence of enslaved people on the culture of the Americas and Europe. Vocalists from the United States, Mali, Colombia, and Catalonia blend with instrumentalists from Madagascar, Morocco, Europe, and West Africa, with historic readings intertwined throughout. Jordi Savall performs The Routes of Slavery (1444-1888) Saturday, November 3, 2018 in Zellerbach Hall.